I have mentioned before that I’m working my way through the books I plan to teach for AP Literature, starting with the ones I haven’t read. 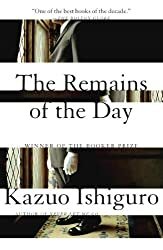 Kazuo Ishiguro’s modern classic The Remains of the Day was the last of the books I hadn’t read (I will now need to do some re-reading, as I haven’t read some of the others in a long time, but I put them off since I did at least have some familiarity with them). I don’t know what took me so long to read this book, given I have enjoyed other works by Ishiguro and also that I just love books like this (not to mention television like Downton Abbey, and yes, I can see Ishiguro’s influence on that show in many ways after reading this book). If you haven’t read the book, perhaps just a short introduction. The Remains of the Day is told in the first person viewpoint of Mr. Stevens, longtime butler of Darlington Hall. Stevens dedicated his life to serving Lord Darlington and is currently in the employ of the American, Mr. Farraday, who gives Stevens leave to visit Darlington Hall’s former housekeeper, Miss Kenton (now Mrs. Benn) to determine whether or not she might consider returning to Darlington Hall. Most the book takes place in the form of recollections as Stevens drives to Cornwall to visit Miss Kenton. At the risk of sounding hyperbolic, I think this is one of the best books I’ve ever read. Stevens’s voice is so expertly captured by Ishiguro. He is all restraint, and yet Ishiguro manages to make his deeply rooted feelings all the more palpable for the control that Stevens exerts over them. My heart ached for him. Even as he denies it, his regret over the way he has spent his life and the mistakes he made with Miss Kenton are heartbreakingly clear, and when he does finally say near the end (sorry, spoiler alert here), “Indeed—why should I not admit it?—at that moment, my heart was breaking” (239), you know it’s really been smashed into a million pieces, and frankly, I wondered if he would be able to go on. In addition, it’s an interesting portrayal of the times in which it’s set, particularly poignant for its focus on characters who are on the wrong side of history, and, indeed, who find it difficult to adjust to modern times after World War II. It’s absolutely breathtaking and brilliant writing. Even though the movie has been out for some time and stars many of my favorite actors, I have deliberately avoided it because I always had it in the back of my mind that I would read the novel. Now I really want to see the movie, which I know is brilliant as well. I just have no idea why I waited so long. It was a gorgeous book, and I can’t wait to see what my students think of it. I have an excellent list of books to share with them. This book is set on a trip to Cornwall, but given that most of the novel is a reflection on experiences at Darlington Hall near Oxford, I’m going to count it as my Oxfordshire book for the Reading England Challenge (I have previously read books set in London, Cambridgeshire, Warwickshire, and Yorkshire, so this is my fifth book. 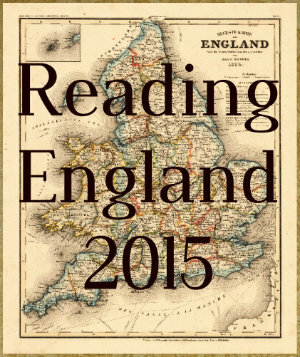 I’m also counting towards the Historical Fiction Challenge.